Rajnikanth (ShivajiRao Gaekwad) was born in 12 Dicambar 1950 in Bangalore, Mysore state (karnatka) But O Chennai lives in Tamil Nadu. In his childhood his economical condition was very normal, after he grew up, the wages of B has worked. He or she is also a work of a porter. Later he has also done Bus Conductoer in Bangloar Transport Searvic. His stay-of-life stays still on the hearts of people. His father Ramoji was a police constable and mother was Jijabai Housewife! Rajnikanth was the youngest of four siblings! In childhood, till 6th class in Govipurm Kannada School, his mother died a few years later, and later studied his raamkishan math! There he got knowledge of Indian culture and started working in the plays too! Once he played the friend of Eklavya in the Mahabharata, his love for the actor increased his love of acting. For further studies, O Achry attended Publik School and there he worked in many plays! After studying, the economic condition of his home was not good, so he used to do very little work. Rajnikanth was working as a carpenter and a porter, then he started working as a bus conductor in Bangalore. In the O. bus ticket, there were fame in acting differently and killing whistles. At the same time, he saw in News Pepar that the Madras Film Institute used to teach new people to work in films, and from his followers, he compiled the course of acting with the help of his friend. 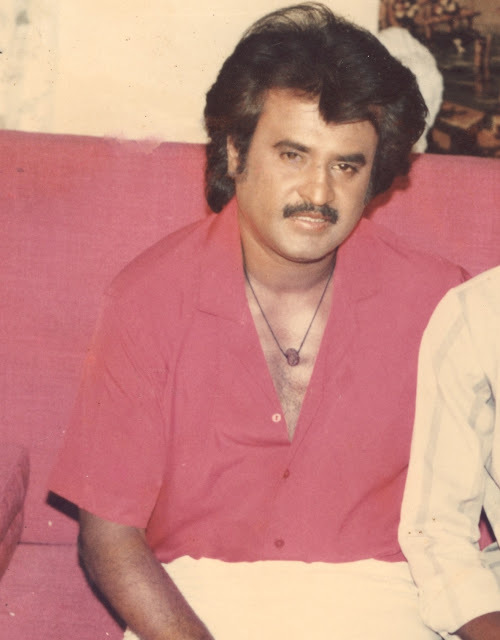 Once Rajnikanth was working in the drama in the institute, then the fame director K. Balachand got sight of him and he got the acting of Rajnikanth so much that he signed Rajnikanth for a Tamil film and suggested to learn Tamil! His first film Apoorva Raagangal came in 1975. His acting, walking style started appealing to the people! People in Tamil Nadu began to believe in him. At the same interval, he met Lata Rangachari and she liked it on 26th February, 1981, Tirupati married in Andhra Pradesh! Later, they had two daughters, the name of the big daughter named Aishwarya and the younger name is beauty. After becoming a superstar in Tamil Filmo, he has also acted in Hindi films too. Rajnikanth's first Hindi film, Amitabh Bachan, was with Andha Kaanoon. Rajinikanth is the biggest thing that if he is a super star, he is connected to the ground, o live like ordinary people in real life outside of films.